Further information for Derek WELLER. The Times. 24 Aug 2006. Pg.63. Sam Weller, advertising executive and founder of the Association of Burial Authorities, was born on June 4,1937. He died on June 12, 2006, aged 69. Derek 'Sam' Weller was one of the most respected members of the Chartered Institute of Public Relations. Beginning as a feature writer and sub-editor in 1957 for Disc and Music Echo he went freelance in 1963 and founded Sam Weller Associates (SWA) in 1963. For many years SWA was in the top 20 league table of public relations companies, involved with the holiday and leisure, transport, engineering and retail sectors, and handling contracts such as Coca Cola's 'Teach the World to Sing' campaign and award winning advertisements for St. Ivel and Unigate. In 1984 he changed course. He established the Memorial Advisory Bureau, working with the National Association of Memorial Masons and a succession of talented professionals to provide a better service for the bereaved. In 1985 he founded the Phoenix Award Scheme, which gave a showcase to en courage good designs for cemeteries and crematoriums. Aware that successive governments had given more attention to cremation legislation than to burial, he established the Association of Burial Authorities in 1993, a highly successful agency offering advice to municipal, local authority, private and parochial burial authorities on all matters relating to the disposal of the dead. Publications followed, such as his Guide to Management of Safety in Burial Grounds and The Daily Telegraph Guide to Funerals and Bereavement, which the reviews editor at the Telegraph would not review as the subject was 'too distressing'. As a result of the initiatives that he pursued during the last 20 years of his life, Sam Weller had a radical effect on the funeral service industry to the benefit of the bereaved. 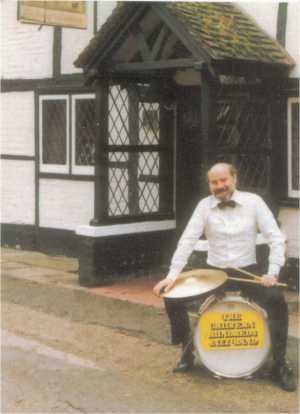 Away from work he was an ardent supporter of traditional jazz, running a series of bands from the 1970s to the l990s, arranging sessions for his own band, the Chiltern Hundreds, and many more. By Lionel Zetter. Public Affairs News, August 2006, pg.39. Like many a good PR man, Sam Weller began his career on Fleet Street, with a group comprising trade and national daily and weekly newspapers. This was later enhanced by a parallel career in PR, when he set up his public relations and publications agency, Sam Weller Associates. Anyone who runs his own small company will know how hard it is to compete in a world where big agencies dominate, but Sam managed to develop a niche for SWA, and to build it up to a point where it was well known and well respected in the industry. Sam was involved with the holiday and leisure, transport, engineering and retail sectors. One notable coup was handling the PR for the justly famous Coca Cola 'Teach the World to Sing' campaign, and the company was involved in a number of award-winning campaigns for St Ivel and Unigate. Sam masterminded the PR campaign to bring the Australian Women's Cricket? team over to England - the first time women cricketers were allowed on to the hallowed ground at Lords. Sam was also a Fellow of the British Association of Communicators in Business (FCB). And what a communicator he was! Whether it was dashing off a cartoon or working 'on the stone' to put a paper to bed, Sam was a true Fleet Street man. Then, like Fleet Street itself, he adapted. As 'lead' and 'stone' were consigned to history, Sam seized on the new technology and soon mastered computerised layout and design. Sam was such a good writer and publisher that at one stage he managed a 'stable' of 14 different titles. Sam served his time as a member of the CIPR Greater London Group Committee and he was always very active in encouraging new members to join, and to participate in the Diploma and other professional development schemes. He was also involved in the arduous duties of judging awards entries. Right up to until his sudden and untimely death Sam was a regular attender of CIPR events. He came along to most Greater London Group events and also to most Government Affairs Group events. Latterly, Sam was asked for help in raising the profile of memorial masons and their craft. He founded and became the campaign director of the Memorial Advisory Bureau and introduced a succession of initiatives in the death care industry. Sam's effective organisation of seminars included the themes of inscriptions and designs, vandalism and public safety, profitability and product liability. He has given papers on all aspects of the death care industry throughout Europe and the USA. Passionate about art, architecture, sculpture and beautiful and well-crafted memorials, Sam created the innovative Phoenix Awards Scheme Design Competition for burial grounds and memorials, and this has enabled a succession of national and international architects and cemetery designers to contribute to increase public interest and care for burial grounds. Sam has been the driving force behind the Association of Burial Authorities, with its aim of fulfilling the need for a consumer-orientated organisation to co-ordinate the activities of burial grounds and provide a tangible link between them and the public. He succeeded in this, gaining on the way the respect of both central government and the Church of England. He realised that support, information, advice and guidance was required by the numerous, but often overlooked, smaller burial ground providers just as much as the larger, professional concerns. Sam immediately impressed the head of the Burials Team, then under the auspices of the Home Office, with his deep interest in and understanding of all matters relating to burials and funerals, and was invited to become a member of the Burials and Cemeteries Advisory Group. From its inception, and still at the time he died, Sam was fully involved with the government's Burial Law Reform programme, now managed by the Burials Team in the Department for Constitutional Affairs. The DCA regard Sam's passing as a major loss to the burial and funeral community. One interesting by-product of Sam's association with all things funereal was that when the CIPR moved to its last headquarters at Old Trading House, he was able to organise and donate a commemorative plaque which bore a remarkable resemblance to a headstone! Energy, vitality, creativity and generosity: Sam had these attributes in abundance and we shall miss him. 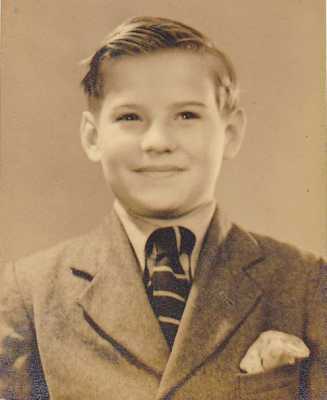 Derek would have been just 10, as the photos were taken in 1947, just before we went off to boarding school. Derek in the royal blue blazer of Normanton House, on the left hand corner at the top of the hill. I, 7 at the time of the photo, in navy gymnslip and red tie of The Grange, about halfway down the hill on the opposite side of the same road in Buxton. Derek used often to come to The Grange on a Saturday afternoon to take me into town. Happy days. Dianna. Barbara and Eric came sometimes and took us out. One time when Derek took me into Woolworths I spent my 1/- on a toy watch. I was so proud of it, but the headmistress took it from me saying that shop was out of bounds!